Here, Bloom & Wild hints at the emotions of Mother's Day and the bond between mother and child, by using a child playing with toys, while reaching out to touch one of its bouquets. Wouldn't it be nice, a customer might ask, to have the same interaction on Mother's Day? On Instagram, Bloom & Wild is more direct. After a quick intro to spell out who they are and what they do, it clearly reminds people that Mother's Day is approaching and encourages them to click on the link in its bio to "shop the feed." Clicking the link opens the feed's images up in a service called LikeShop. When an image is tapped, the purchase page featuring the product opens ready to buy. "Dash Hudson’s native LikeShop solution takes your audience from engagement on Instagram, to checkout your website in one step. Simple. Beautiful. Dangerous," says the service's website blurb. Bloom and Wild launched a contest, in partnership with Chow Shed, to give away a spa treatment and a year's supply of flowers. While the giveaway does not directly mention Mother's Day, all the signals point to the occasion. They'll want to be targeting entries from people who would like to treat their mothers, and people (mothers included) who want the chance to win an indulgent prize. Running a contest like this - especially at this time of the year, is a smart way to increase the rate of entries. The link (shortened and trackable via bit.ly), leads to a simple entry form asking for name and email address. There's also tick-box options for people to sign up to each company's mailing lists - a smart and subtle way to drive sign-ups. Bloom and Wild offered customers a 15% discount code on flowers in the run up to Mother's Day. Note the clever copy ("we're sending ours this Saturday to impress mum with our planning). With Mother's Day being a Sunday - and more expensive/busy to send on that day, the company, personifying itself, is encouraging customers to purchase early (and also impress their mother!). Customers know that discount codes don't normally last long, so by offering one at a time like the run-up to Mother's Day, you're signalling an opportunity that cannot be missed. This post works in a similar way, encouraging people to order flowers for the less-busy Saturday, not wanting to risk them not turning up on Sunday. And anyway, they'll need time to bloom from their letterbox packaging, so where's the harm in ordering early? Note also the copy, "make her day." a strong opening statement that burns into the psyche of children of Mother's Day-buying gift age everywhere. No one wants a disappointed mum. The examples I've shown above have included simple text links, and videos - and here's another example of Bloom and Wild mixing up its use of content styles to amplify its message. This particular carousel of images takes customers on the journey of its flowers: packaging a hand-made bouquet, showing it on display in a house, and an invite to click through to the collection on its website. Make her day this Mother's Day weekend, March 9-11. Only 10 days to go! Mother's Day is one of those gift-giving occasion that people do not want to mess up, and Bloom and Wild knows it. By reminding customers that there are only a handful of days to go, they create a sense of urgency and anxiety which will encourage people to order. It's a classic marketing trick that brands use all the time. The copy, "Make her day this Mother's Day" is a soft push to creating action, but words like "fast", "hurry," "quick", and "now" might suit your promotion, too. Divine scent, texture and design (all through the letterbox) created by @nikkitibbleswildatheart exclusively for us. Cooks pink ozomanthus, scabious and lavender steal the show, send mum the unexpected for this Mother’s Day weekend March 9-11. As Mother's Day gets closer, there's another reminder. 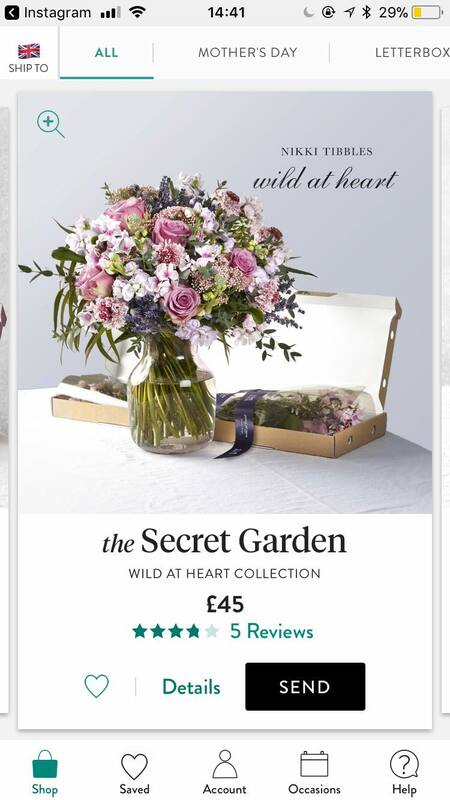 And here, I like the "send mum the unexpected this Mother's Day" message. Many people struggle to find a unique gift for Mother's Day each year, and this post could be the prompt that they need to purchase something memorable. It speaks to the part of a buyer's mind that imagines how their mum will react when she receives the flowers - and the appreciation that will be lavished upon them in return. 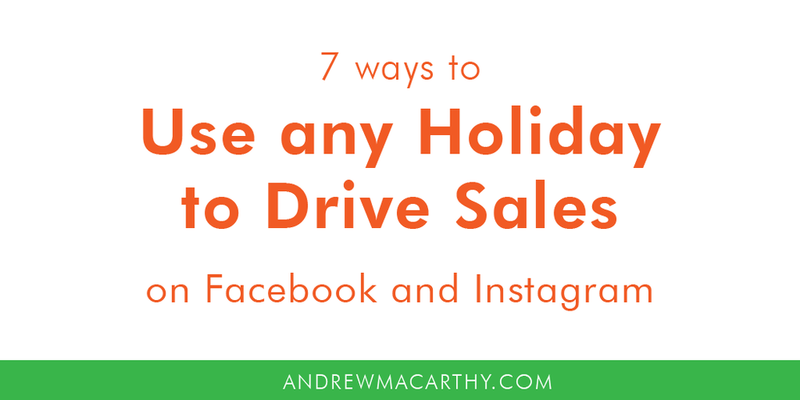 It drives engagement, which the Instagram algorithm loves. The more people that comment, the more likely the post is to appear in people's feeds - or in the Top Posts on Instagram. It plays to some of people's most precious and emotional memories, and helps create a tie with the brand. As well as memories from people who's mothers are still around, there are plenty of comments from people sharing memories of a mother that has passed away. The promise that Bloom & Wild will share some of their favourite memories plays to people's subtle, I guess you called call it narcissism, when it comes to social media. You can bet that if Bloom & Wild shares their memory in a post, they'll be letting all their friends know. It's a spot in the limelight for them, but more importantly, drives more attention to Bloom & Wild, and spotlights them as a company that cares about their customers. We asked our Bloom & Wild mums what their favourite flowers are. Caroline from our finance team loves these pink roses from The Blossom which open beautifully over time✨💕 shop Mother’s Day in our bio. Just one week to go! Bloom & WIld's content, naturally, puts its flowers front and centre, but they also know how to give their content a human touch. You've seen it in some of the copy in the examples above, but this one - which tells fans which of its flowers "Caroline from the finance team" likes best, along with a photo. What does that do? Encourage others, mums, to comment to share their own favourites. Even though we don't see Caroline, most people would be able to picture a "Caroline from finance" in their own lives, and relate to it; perhaps even like the same flowers she does. It's followed with a call-to-action to shop Mother's Day flowers via the link in its Instagram bio. I wonder how many mothers used this post as way to hint to sons and daughters about what would really make their Mother's Day special? You know, especially for those offspring who need more than a subtle hint! 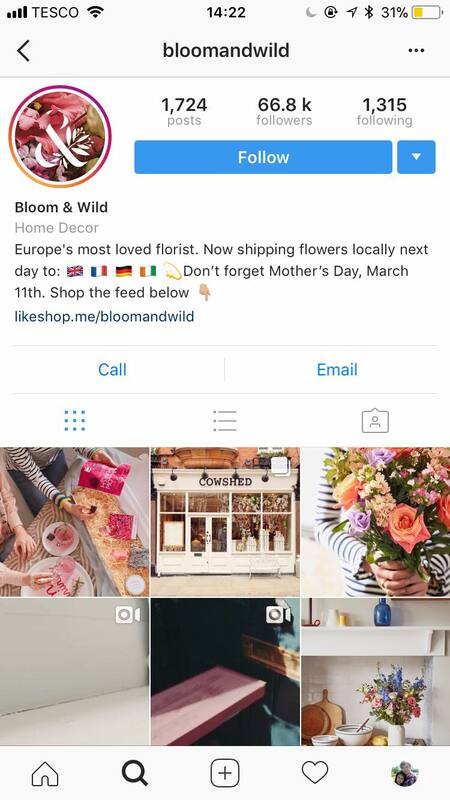 What do you think about Bloom & Wild's approach to its Mother's Day social media marketing campaign? Will you be using some of the ideas in your own campaigns? Let me know in the comments below!